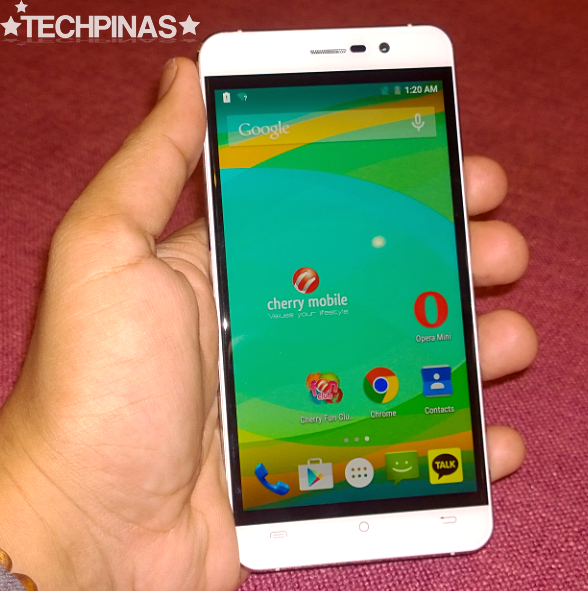 Cherry Mobile S3 Octa was the local electronics giant's best-selling Android smartphone last year. And I'm sure the company is hoping that the 2015 follow-up to that model - the Cherry Mobile Flare S4, announced yesterday at The New World Hotel in Makati City - will do just as well. 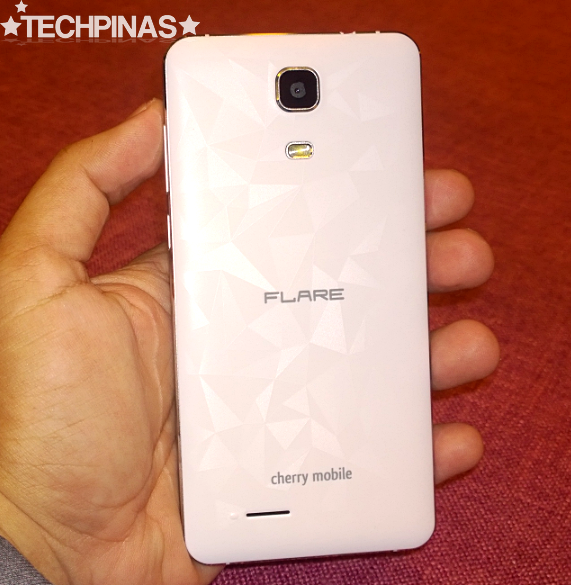 I consider this upcoming release as the fraternal twin of the Cherry Mobile Flare 4, which was unveiled alongside it during the event, as they have they have not only similar key technical specifications but also the same official suggested retail price of Php 4,999. Actually, they are equally special. Both phones have the same 5-inch HD IPS display, 2.5D DragonTrail Glass touchscreen, 13 MegaPixel autofocus camera with Single LED flash and BSI sensor, 5 MegaPixel BSI front cam for selfies, Full HD video recorder, 4G LTE connectivity support, Dual SIM (two microSIM card slots) Dual Standby capability, and removable 2,200 mAh battery pack. Under the hood, Flare S4 and Flare 4 run their almost-vanilla Android 5.1 Lollipop operating system with a rather powerful 64-Bit 1.3 GHz ARM Cortex ARM Cortex A53 and 700 MHz Mali T720 MP3 GPU based MediaTek MT6753 chipset, handle multitasking with 2 GB of RAM, and have 16GB of ROM that users can augment using the devices' microSD card memory expansion slot. So how exactly is Flare S4 different from Flare 4? 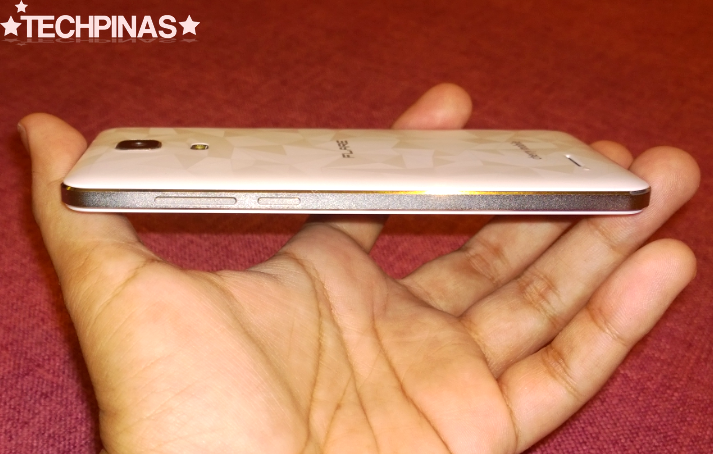 As you can see in these actual unit photos, S4 has a 'squarish' footprint as opposed to the rounded look of the Flare 4. I'm not sure if you'll agree with me but I think this one has a more masculine vibe to it. 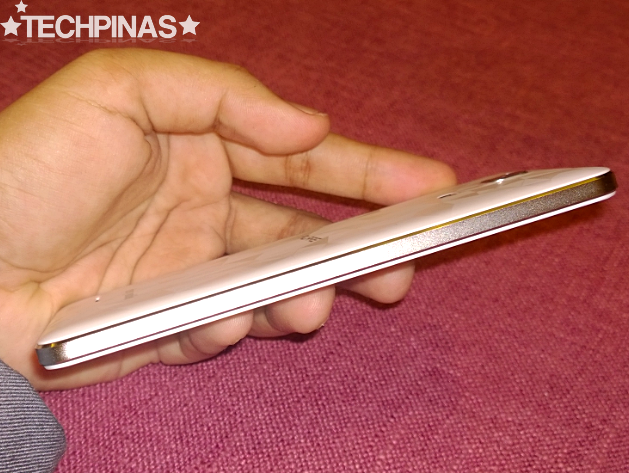 The thick aluminum side frame of Cherry Mobile Flare S4 is largely reminiscent of what you'll see on Samsung Galaxy E5 and E7. This design accent - previously absent on previous CM Flare releases - definitely gives this model an air of both durability and corporate elegance. Notice the interesting pattern on the back plate of the handset. These are diamond and triangular 'etches' that appear to gleam as light hits the cover from different angles. You won't get this on the Flare 4. "Flare 4 or Flare S4? Which one is better? Well, the two phones are almost similar. They are different in how they look -- so it all depends on your preference. I think girls will be more attracted to the Flare 4 because it is rounder and its selfie cam has more advanced beautification mode. But some guys like taking selfies too. So again, it all depends on your taste," Mr. Lonson Alejandrino, Product Marketing Manager of Cherry Mobile, told me during the launch. 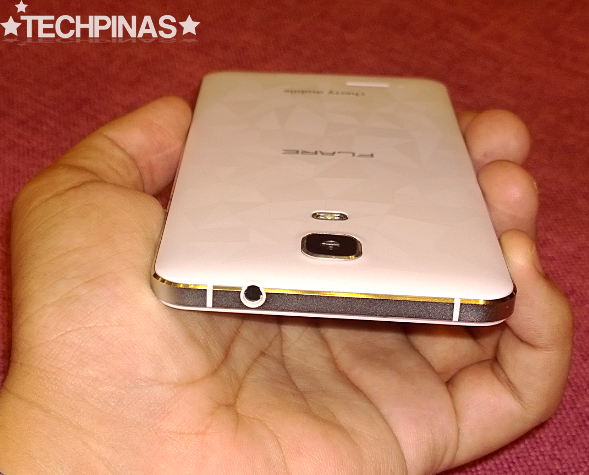 Cherry Mobile Flare S4 will be up for purchase come the last week of October - most likely, starting on October 30, 2015. You can get it in three colors, namely, White, Silver, and Gold.